German leader condemns anti-Semitism and far-right movements in an interview with Israeli news outlet. German Chancellor Angela Merkel condemned anti-Semitism in an interview with Israel's Kan television channel and said that her country's law enforcement is doing everything it could to fight the phenomenon. During the interview, Merkel was asked about what she was doing to fight anti-Semitism such as the kind that occurred in the eastern city of Chemnitz this past summer, where a large neo-Nazi march was held. "We are doing everything in our power to fight these acts," Merkel responded. "The authorities will, of course, continue to investigate everything that is needed." Merkel said that following the aforementioned protests, "there was also a large civil movement that made it clear that we do not want it in our country and we will stand against it". "I believe, it is also important that there are many people who clearly demonstrate courage and zero tolerance for anti-Semitism, xenophobia and such phenomena. It is fundamentally unacceptable that all Jewish institutions and now a Jewish journalist need to worry." 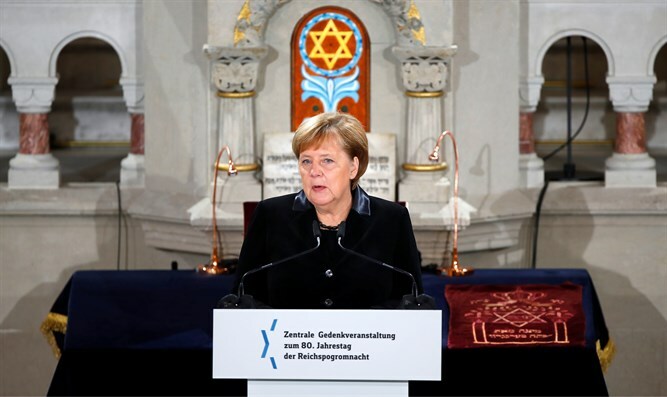 Regarding Germany's role in commemorating the Holocaust, Merkel said that "Nazism and the Holocaust that followed are part of our history, and therefore we are committed to preserving its memory in order to prevent the recurrence of such terrible things in the future."